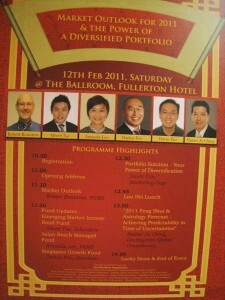 Jo was invited by Prudential on 12 February 2011 to give his analyses on the market and economic outlook on the Year of the Golden Rabbit. 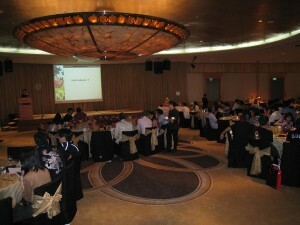 It was a gala event held at Fullerton Hotel where 350 people were present. 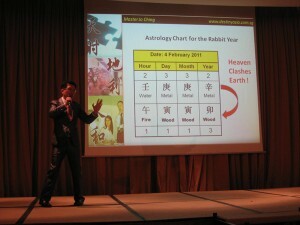 Jo spoke about astrology forecast for various industries and investment outlook alongside with other speakers from various fund management companies. 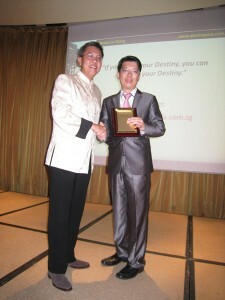 Mr Tay HB, Group Financial Services Director, presented Jo with a token of appreciation at the end of the event.